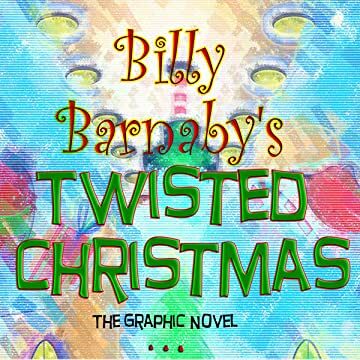 Set in a world just around the corner from our own, where Santa Claus really exists and uses your neighbors to keep track of your deeds, Billy Barnaby's Twisted Christmas is a sometimes dark but ultimately uplifting story of how a truly good heart can redeem even the most heartless evil. When teenager Billy Barnaby wins a contest to accompany Santa Claus on his Christmas deliveries, he's delighted at the opportunity to try to turn Santa from his Big Brother-like ways. However, Axel Blackman, Billy's ex-con neighbor, has other intentions. He and his evil henchmen stow away on Santa's sleigh. At the North Pole, they take Mrs. Claus hostage at gunpoint, forcing Santa to carry out their nefarious plans. 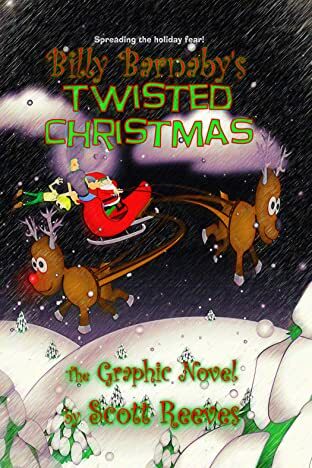 Using Santa's miraculous ability to stop time and enter any structure in the world unhindered, they embark upon a dark night of high crimes and misdemeanors, dragging Billy along for the most horrific time of his young life.